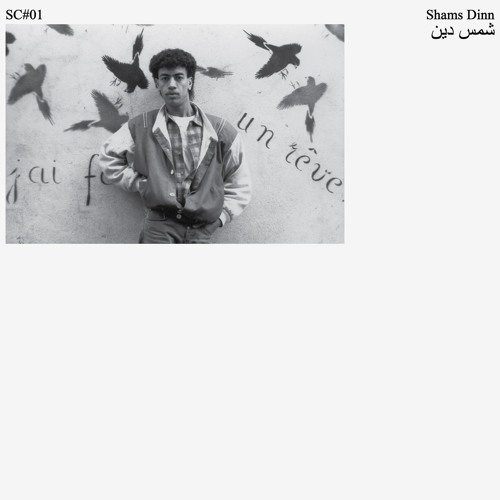 On the album photo, Shams Dinn may look like another raï or pop singer from Northern Africa, only there is a certain street credibility in his appearance and pose. Born in 1961 in the Moroccan town Oujda at the Algerian border, Shams Dinn has been living in France since he was 10 years old and in the 1980s he became closely associated with the urban music scene in Lyon and Paris. His tale is well documented in the liner notes of Shams Dinn’s self-titled album that came out on Smiling C and offers an exciting listening experience. The combination of Maghreb music and funk has not been too common and the album is a true melting pot of Moroccan roots, French upbringing and American influences. All tracks are previously unreleased, except for the opener “Hedi Bled Noum” (“Land Of Dreams”), which is cruising between P-funk and Stevie Wonder and saw the light of the day on Hamedi Records in 1987. The sleek bass line in “Rai Al Mal Boule” would please anyone having an ear for late-1980s house while “Ane Dassi Mwe” and “Shams Dinn (Wald Bladi Zine)” are stocked with rap passages and traditional vocals from his native home. With a touch of irony about his chosen home, the artist performs the funk piece “Vieille France” and shows his stormy side in “Sleke Machine”. A must-play piece is the Orient-minded instrumental “Toutes Ces Femmes”. Shams Dinn sounds unique and fresh, but on the second volume of “Chebran”, a compilation of the eighties disco and boogie from France, he’s in a like-minded company of artists.